Bruno Caboclo of the Memphis Grizzlies goes to the basket against the Oklahoma City Thunder on March 25, 2019 at FedExForum in Memphis, Tennessee. 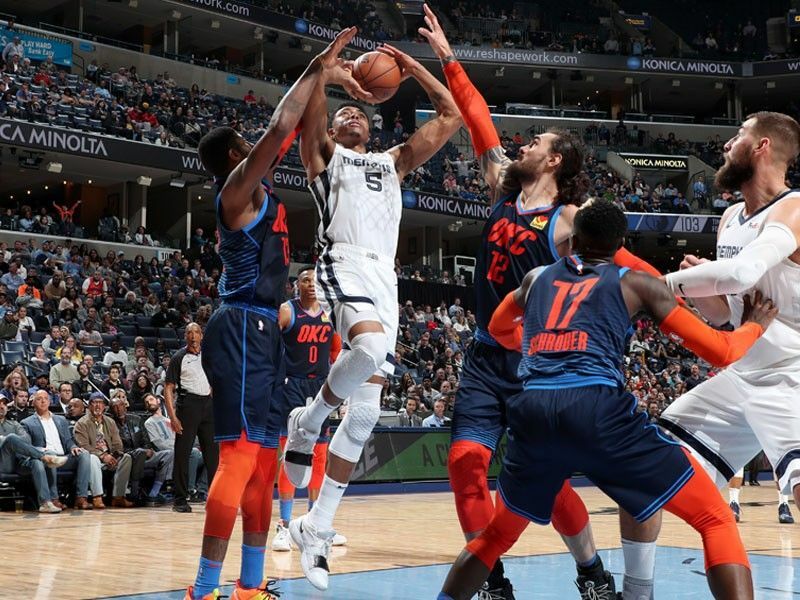 LOS ANGELES – Brazilian international Bruno Caboclo scored a career-high 24 points as the Memphis Grizzlies dented Oklahoma City Thunder's likely playoff ranking with a 115-103 upset on Monday (Tuesday Manila time). The 6-foot-9, 23-year-old small forward from Sao Paulo also pulled down 11 rebounds and provided two assists to give the already-eliminated Grizzlies a deserved win over the higher-ranked Thunder.